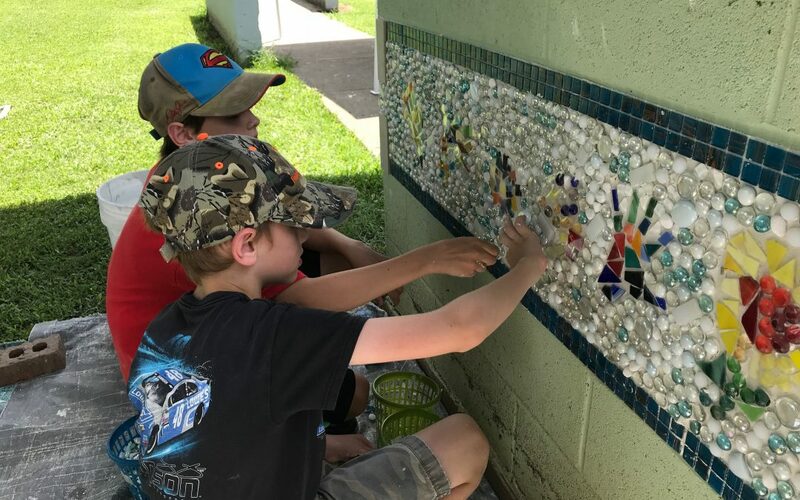 Scout Troop 440 is working with Borderless Artist Yvette Cowden to complete the backs of the walls in Memorial Park. All 12 front murals are up and ready to be viewed. We hope to unveil all of it before the summer is over.